Posted on November 28, 2008 by Kathy T.
I want to thank everyone who contacted me about the site being down. There was a problem (unbeknown, unexpected, unanticipated by me) that is being addressed as quickly as possible, but through the kindness of the administrators at WordPress (Hi Mark! ), we’ve been restored to full-functionality in the interim. Meanwhile, we’re baaaack! And we are thankful for that. How was your Thanksgiving? Besides the tryptophan coma, mine was good. As are the leftovers today. Listed below is a Neighborhood Stabilization Plan that is still in draft form, but is something that will assist LaVergne as it relates to our housing concerns (especially in Lake Forest Estates). This will be a vehicle I hope we can utilize once approved by the THDA. This program uses federal funds and is designed to help address the problem of abandoned and foreclosed homes. The newest program landing at THDA is the Neighborhood Stabilization Plan. See the draft of the program description here: http://www.thda.org/Programs/commpro/nsp/prodesc.pdf . If the link does not work, go to www.thda.org , see links on right side of home page. Well, first things first, the business of Green La Vergne. To those of you who are interested in helping Green La Vergne with the TDOT Adopt a Highway effort, please go to our web site and download and fill out the Volunteer Release Form. Instructions on how to return it to me are posted there at the site. To those of you who have already filled out your forms and returned them to me, THANK YOU! TDOT needs us to return these forms asap, and the sooner we can get them turned in, the sooner we can get started. Thanks! Now, since it’s Thanksgiving, er, um almost anyways, I thought I’d talk a bit about what I’m thankful for, in regards to my city. I’m thankful for the new police sub station that opened up just a stone’s throw away from mi casa. I have high hopes that it will in fact deter much of the troubles I’ve seen steadily increasing over the past couple of years. I’m especially thankful for the house on the corner of Holland Ridge and Cedar Park, with the always nicely manicured lawn and flower beds. I like that the man who lives in that house waves a friendly wave whenever the Wifester and I pass by, even though we don’t even know each others names. I’m thankful for the growth I see happening in La Vergne. I’m again hopeful that a bright future lay ahead. And I’m thankful for This is La Vergne, and the smorgasbord of information that is always just a click away. Kathy has provided us with a wonderful community service, and I want to show my appreciation, so THANK YOU! So, tell me La Vergne, what are you thankful for? Posted on November 22, 2008 by Kathy T.
Okay, I thought this map I found through our friend Fortune Cookies was neat-o. What states have you visited? I’m only missing three: Alaska, Connecticut, and Michigan. Click on the link below to make your own map! Posted on November 21, 2008 by Kathy T.
The Drama 2 class of LaVergne High School is performing the much-loved Mark Twain classic – TOM SAWYER – tonight at the school auditorium. I’m not positive the cost, but it’s usually $5. Show is at 6:00 p.m.
Why would you want to go see a high school play? My daughter plays the role of Aunt Polly. I’ll be there front row, center playing the role of proud Mama. Have a great weekend. Someone post something, for crying out loud! Posted on November 20, 2008 by Kathy T.
Last time we tried this, we had very very few comments, but I’m going to try again. OPEN THREAD! What’s going on in LaVergne? In your neighborhood? At work? To me, everything seems quiet on the western front. How about in your neck of the woods (do I sound like Willard Scott)? I will say that the election is over. Time to take the signs out of your yards people! 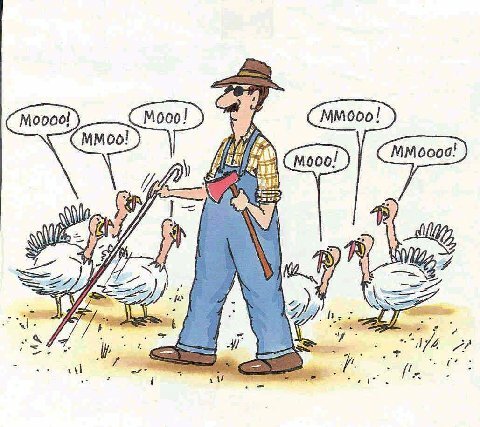 What are your plans for Turkey Day? Chow fest? Posted on November 19, 2008 by Kathy T.
Mealand over at the DNJ wrote an excellent article about the transplant Brandon Brewer is undergoing – probably even as I type this. Surgery was expected to take eight to 12 hours. Shortly after the procedure began, doctors were to determine if Brandon’s liver and pancreas have been severely damaged. Those organs were available to him should he need them from the current donor, a 19-year-old male. Brandon and his parents will be in Pittsburgh for a year or more for recovery. As news becomes available, Perry will update Brandon’s Caring Bridge site at www.caringbridge.org/visit/brandonbrewer. She first made contact with the Brewers through the Web site. Brandon and her daughter Courtney began dating. Please keep Brandon in your prayers this morning.